China accounts for a quarter of the world’s internet population. This presents a significant opportunity for foreign industries looking to capitalise on a largely untapped market. However, this portion of the internet population is not surfing the same sites that we are. They have their own ecosystem with platforms that behave in a different capacity to anything we’ve experienced in the West. 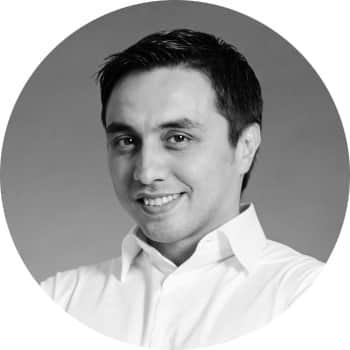 Our CEO, Nicolas Chu, in the first hosted event for Sinorbis University, advocated that Australian businesses can adopt a four-stage acquisition model, to transition leads from strangers and then to loyal customers, while leveraging the capabilities of the platforms. Here are the key takeaways on the China marketing acquisition method from the event. The first phase is when prospects are seeking to understand and frame a need or desire. With Chinese and Western online eco-systems being so vastly different, the way Chinese users interact with digital channels can also vary greatly from the West. Businesses should focus on multiple channels such as search engines, information portals, company descriptions and vertical sites for specific industries. Leveraging the right mix of channels will serve to propagate your business through the digital space. For example, the University of Tasmania, Australia, with the help of Sinorbis, recently launched a successful student recruitment campaign aimed at Chinese students. They created a bespoke Chinese language website filled with engaging content and promoted their online presence through SEM on Baidu and Sogou. Nicolas notes that businesses should not underestimate the power of online reputation. ‘Chinese consumers rely four to five times more on reviews than Western audiences,’ he says. These reviews are garnered primarily through online forums. Unlike in the West, where the presence of forums have dwindled, China has a bustling presence with a forum or community for almost every industry: Tigtag for Education, Babytree for baby products, Mafengwo for Travel and ITValue for IT professionals, to name a few. Chinese consumers rely heavily on social proof and online reputation when making decisions. A key metric Chinese consumers use are online rankings. In the retail industry, rankings can come from community sites, eCommerce sites such as Tmall and shopping guide sites. Being well-ranked on your industry’s channel is a powerful tool in building awareness. The best way to determine the most effective channels for your business is through testing and analysis of data, says Chu. Once leads are attracted the next phase begins. The consideration stage is when leads are committed to researching all the available options to fulfil their needs. Businesses still engage prospects through generic channels, now with a focus on developing more one-to-one approaches. The goal is to build relationships with these leads. Online communities still play a crucial role at this stage. To help foster these relationships, an official website is ideal in addition to official WeChat marketing and Weibo presences as part of a Chinese social media marketing strategy. These channels will be key touch points for the business, to help discern them from the competition and act as information hubs for leads. Local businesses wanting to create an online presence in China will find it more complex than simply translating their existing website. 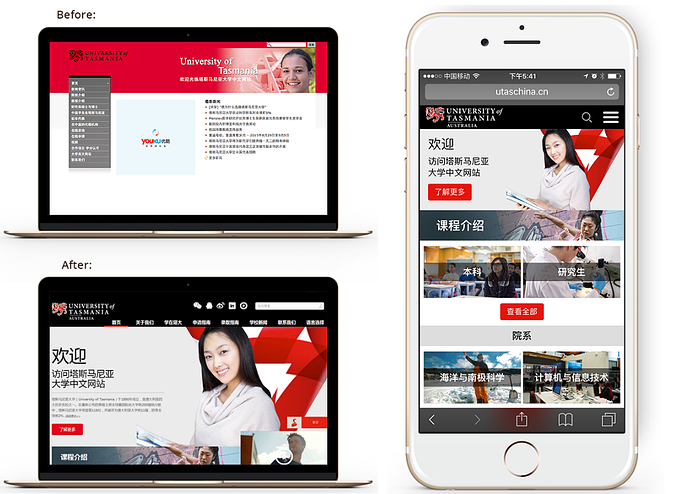 For example, UTAS created a bespoke website that was optimised for mobile and designed specifically with Chinese audiences in mind. The site was also hosted locally in China to avoid slow loading times. Companies may even find themselves needing to host multiple sites, both locally and in China, due to the varying nature of both Chinese search engines and user experiences. Once prospects are sufficiently engaged, it’s time for conversions. The third phase is when the prospect has decided on a product or service that will serve their needs. The objective is to convert them from prospect to customer. For strong customer conversions, travel and retail industries can still leverage specific channels such as online travel agency and eCommerce sites. Official websites, and social media still play a critical role as information hubs. They also serve the ulterior purpose of validating a business’s existence and authenticity. Live chats and personalised pages can also serve to bolster the experience and catalyse the decision making process. A powerful tactic to leverage at the decision stage are special offers. They can set your business apart from competitors, and be the driving force behind prospect enticement. A prime example of this was implemented into the UTAS Chinese market strategy. Prospective students looking for studies abroad seldom apply to a single university. UTAS ran a campaign offering three months of free English lessons for any student who confirmed their enrolment. This resulted in a 44% increase in number of students recruited, in conjunction with other strategies, putting them well on their way to achieving their intake goals. Turning prospects into customers is not the final aim, however. There lies one final stage, critical to further business development. The final stage in the process is concerned with nurturing existing customers. The objective is to turn them into advocates. Business advocacy is paramount to business reach and growth especially in a market such as China that relies so heavily on digital proof. Direct channels are the most effective at nurturing such relationships. The focus during this buying stage is now even more so on one-to-one relationships through all online channels such as Weibo and WeChat. Online reputation management is critical to success when marketing to China. Providing value after customers have made the purchase decisions enables businesses to build their advocacy base and improve their online standing. Chinese and Western online eco-systems are completely different. Each local channel has a Chinese counterpart that can differ greatly in both form and function. For Google there is Baidu, Sogou or 360. For WhatsApp there is WeChat. And for Facebook there is WeChat, again. How and when to most effectively harness each is key to successfully marketing in China. Businesses must endeavour to leverage the differences in these online eco-systems rather than be hindered by them.